Things have just got a whole lot more convenient for homeowners who are looking to update their home with quality surfaces. 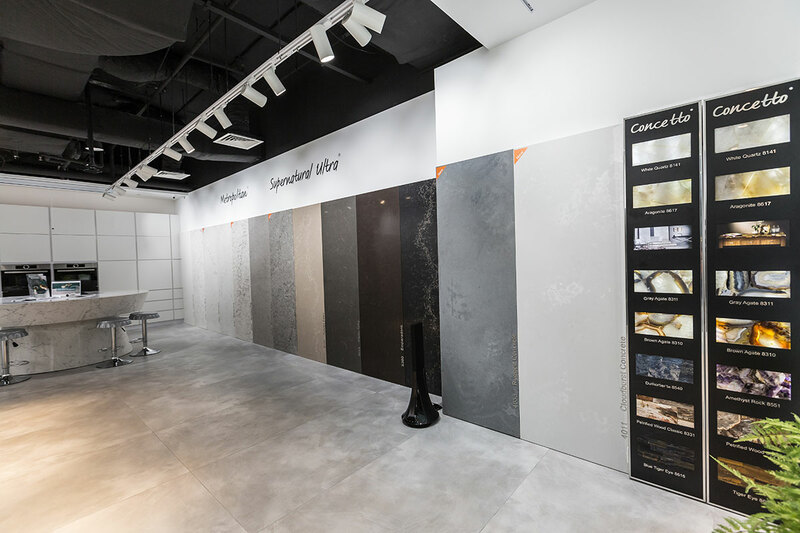 Leading developer and manufacturer of premium quality quartz surfaces, Caesarstone, has set up an inspirational art gallery-like space that allows its clientele to fully experience the elegance and beauty of all its products on offer. 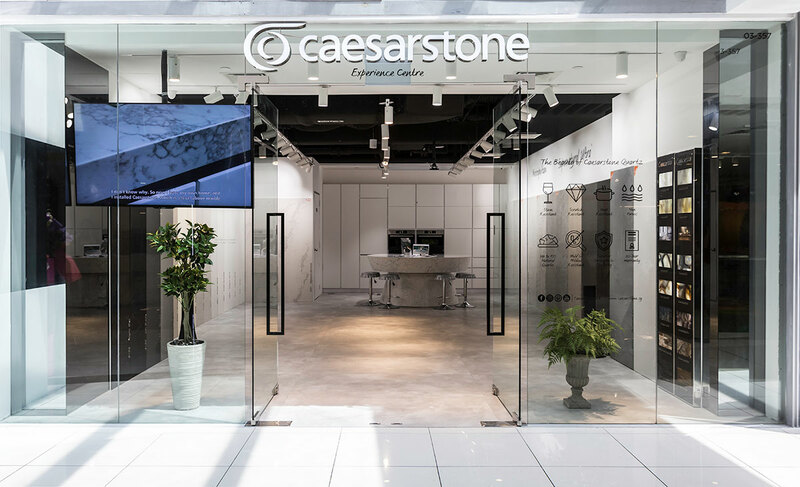 Conveniently located at Suntec City Mall Tower 3 in the heart of the bustling Marina Bay precinct, the impressive Caesarstone Experience Centre is fronted by full-height fully see-through glass doors that incite curiosity amongst passersby. Inside, there is an air of wonder, akin to that of an art gallery. Spanning over 10-metres, large wall panels of quartz in every colour are mounted along the perimeters of the showroom, which shines a spotlight on the stylishness of the collection. Reminiscent of art installations, customers can marvel at long-standing choices like the 5031 Statuario Maximus and the 5104 Tuscan Dawn, as well as the brand’s latest design releases – from the Metropolitan Collection’s 4033 Rugged Concrete to the 5043 Montblanc from the Supernatural Collection. Recognising that customers often need to see a product in action before making a purchase, the Experience Centre also showcases a variety of built-ins that apply the brand’s offerings as part of their construction. Particularly of note is the fully operable kitchen island – complete with a Bosch downdraft hood, induction hob and microwave oven – that’s placed in the middle of the showroom. Constructed with the ever popular 5143 White Attica from the Supernatural Collection, the stylish island unit also encompasses a state of the art visualiser tool and touchscreen technology that customers can use to visualise their preferred Caesarstone colours. Open daily from 11:30 am to 9:00 pm, customers can also count on the expertise of the showroom specialists, who are on hand to assist with all design and colour selections of your home’s surfaces. 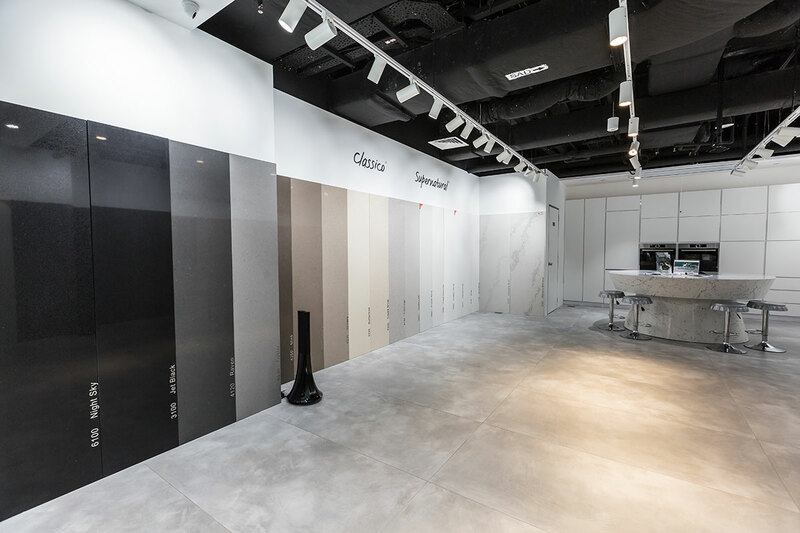 With such an extensive range of colours, styles and textures on offer, the new Caesarstone Experience Centre is definitely a must visit for anyone looking to design, build or renovate their own unique space.